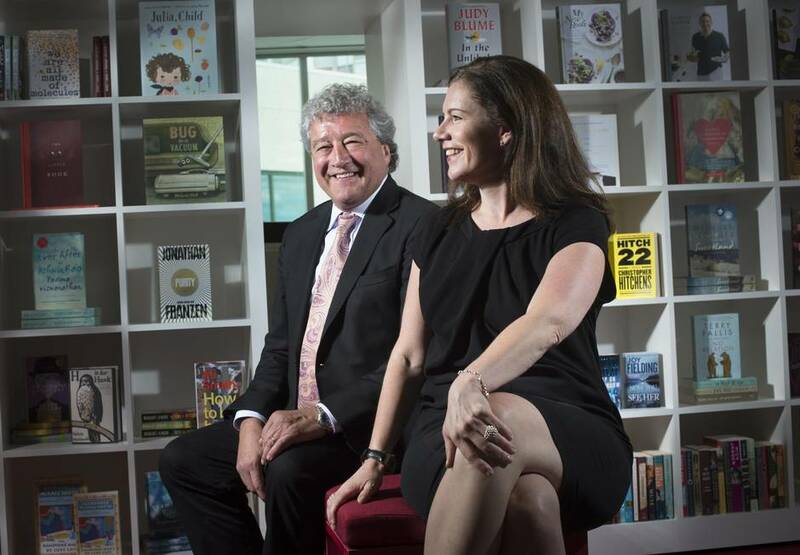 Books Will the newly united Penguin Random House weaken Canadian publishing, or save it? Will the newly united Penguin Random House weaken Canadian publishing, or save it? The most powerful man in Canadian publishing is leading me on a tour of his new cubicle. 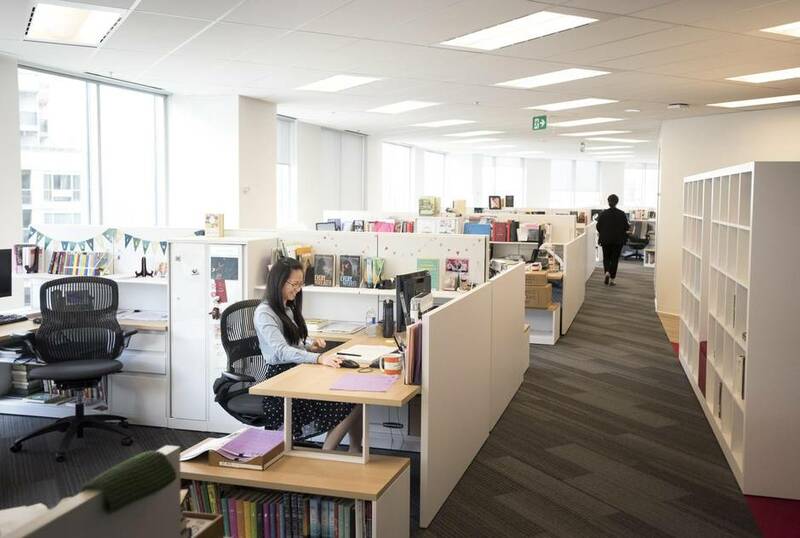 It’s early afternoon on Tuesday, and Brad Martin, the president and CEO of Penguin Random House Canada, has just finished delivering remarks to his staff welcoming them all to their new Toronto office. Although the last of the employees moved in the previous week, Martin was in Berlin for meetings, meaning this past Monday was his first day in the office with the entire team in place. “So, the furniture hasn’t arrived,” he says, excusing the lack of seating. “But this is my new space.” Even the CEO has lost his office in the move to an open-concept floor plan, though the south-facing windows, looking out toward Lake Ontario and the Rogers Centre, offer a much better view. There are certainly fewer books. He heads over to the adjacent meeting room, where some of the 2,000-odd titles that lined his old office have found a home. He gestures here-and-there, positioning soon-to-arrive bookshelves, imagining art on the walls, explaining where the couch will go – at this point, the near-empty room is mostly potential. In a way, the surrounding office is the same thing. What will Penguin Random House Canada become? In interviews with more than three dozen editors, publishers, authors, literary agents, current and former PRH employees, and other industry observers, a picture emerges of a company still unsure of its new identity. Although the merger was announced in October, 2012, and finalized July 1, 2013, Penguin Random House – here and around the world – remained a house divided. The long-distance relationship, in Canada, at least, came to an end last week. The vast majority of the 229 employees comprising the country’s largest publisher are now working together under one roof. The company enjoys a position of power and influence that is without peer, and others in Canadian publishing are watching, carefully and cautiously, to see how the merger affects the industry. Will Penguin Random House Canada lead to the downfall of Canadian publishing or be its salvation? It is a near-monopoly, able to dictate financial terms to writers who now face fewer places to publish their work; a company that possesses “a staggering amount of talent,” in the words of one editor, yet has also shed employees since the merger; and one whose split history exists in tension with its future. The final “purge” day at Random House of Canada’s Toronto Street office took place on a Friday morning in mid-May. Flattened cardboard boxes and stacked red plastic bins lined the narrow halls, waiting to transport staff belongings across town to the new office in two weeks’ time. Each employee was provided with three of the red bins, and some were having a harder time than others deciding what to bring with them to the new space. While some offices and cubicles were empty, as if their occupants were leaving that very day, others were still in disarray. One office was full of poster-sized framed covers – Michael Ondaatje’s The English Patient leaned against a desk, while David Adams Richards’s Mercy Among the Children rested near an empty bookcase. ‘I think what struck us all is how open ‘open’ meant,’ editor and publisher Anne Collins says of PRH’s new workspace. If there was one overarching concern among staff in the lead-up to the move – a concern confirmed by internal surveys conducted by a firm hired to help manage the move – it was the switch to open concept, which Cochrane admits was a “bold decision.” No one – not Martin, not Cochrane, not a single editor or publisher, no matter their seniority – has an office, though there are 35 meeting and “phone” rooms scattered throughout the three floors. 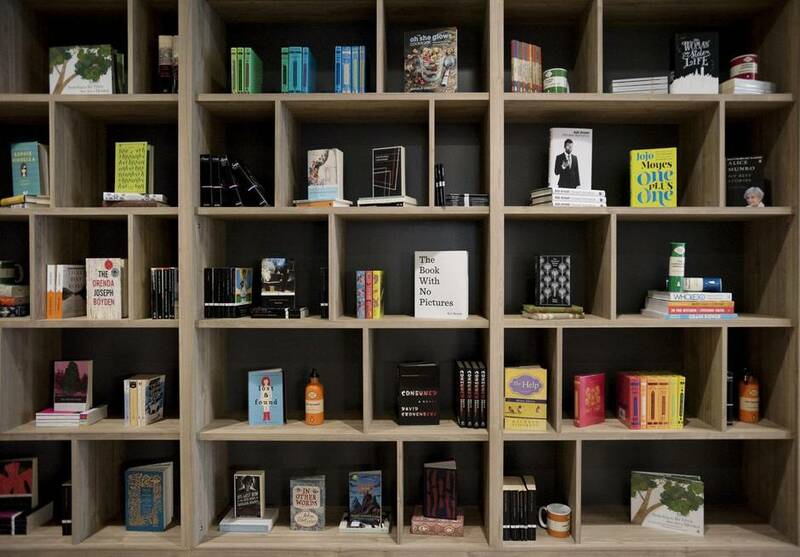 The decision is part of a mini-trend in the publishing industry; Hachette’s New York operations switched to open concept when they moved into their new office last October, following the lead of several British publishers, including Penguin U.K.
Penguin Random House’s Canadian operation, with the exception of India, is the only one to physically consolidate thus far, a process that began soon after the merger was finalized. 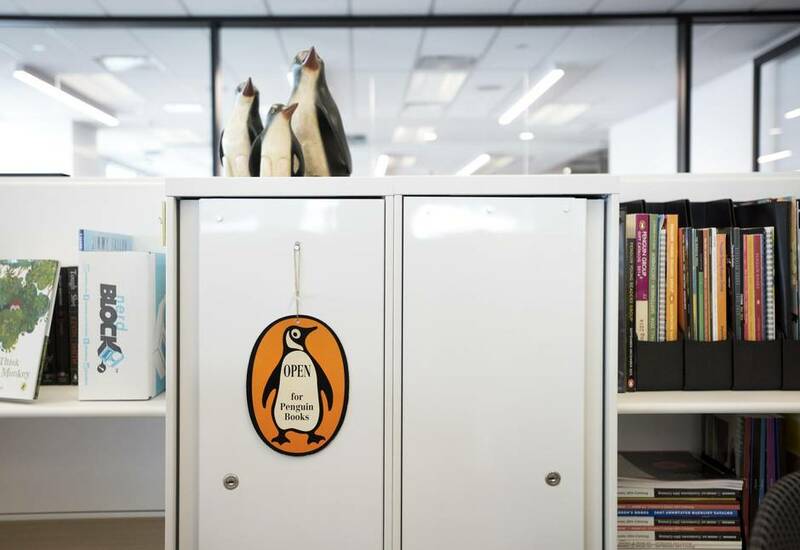 On the second-to-last day in Penguin Canada’s seventh-floor office in midtown Toronto, where they’d spent the past decade, publisher Nicole Winstanley stood at the head of the company’s main boardroom and offered a toast. 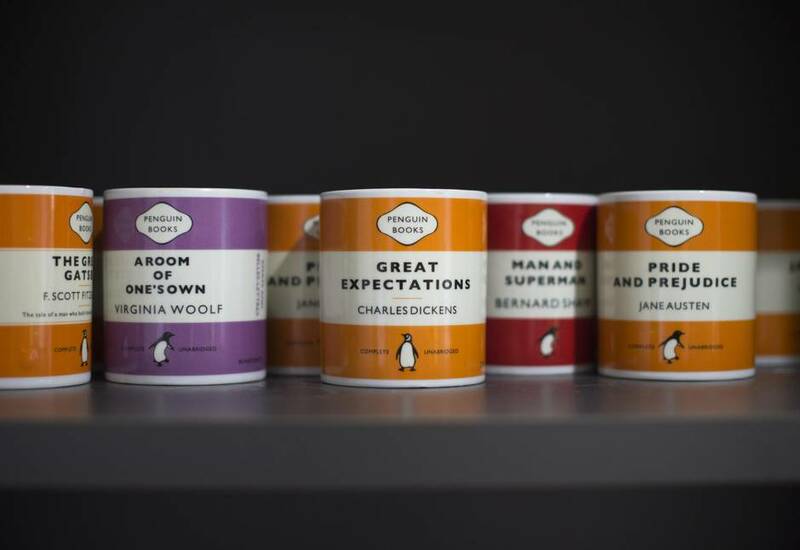 Penguin Canada was established in 1974, the domestic arm of one of the publishing industry’s most storied houses, and perhaps the industry’s one household name. “The Penguin brand is something we can leverage in this country,” Martin says. Although the iconic black-and-white-and-orange bird is featured prominently on PRH’s new logo, the sense is, if a merger has a winner and a loser, that it’s Penguin being absorbed by Random House. (Penguin’s British parent, Pearson PLC, controls 47 per cent of the company; German multinational Bertelsmann, which acquired Random House in 1998, owns the rest.) 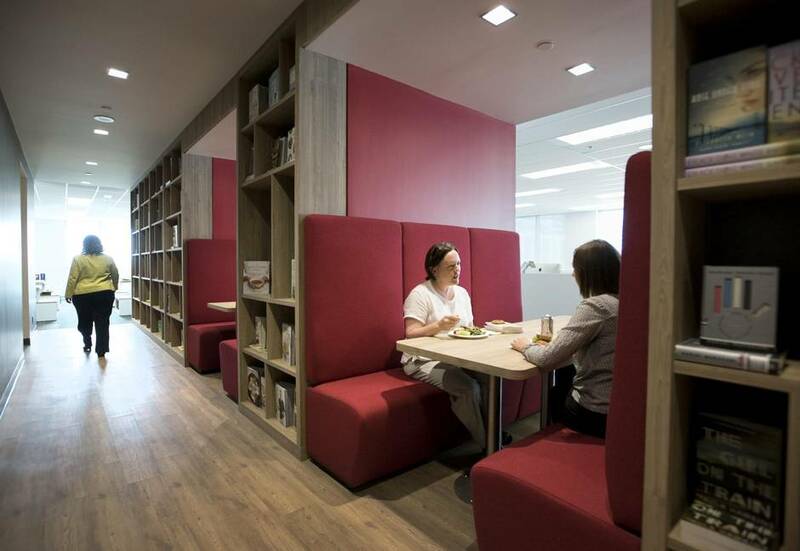 In Canada, Random House had been the larger concern, with approximately four times as many employees. When, sitting in her near-empty office later that afternoon, I asked how the staff are feeling, Winstanley admitted that “people have been a bit nervous,” and agreed with me when I suggested her team felt the need to prove themselves to their new colleagues. “But I can’t help but wonder if the people on the other side feel that way, too, with us coming into the building,” she said. “We’ve been a leaner organization, and we’ve done some scrappier, riskier, bolder things, because we didn’t have the same structure in the place. Our bosses were in New York, and sometimes we’d get a little crazy. The vast majority of the 229 employees comprising the country’s largest publisher now work under one roof. Winstanley arrived at Penguin Canada in 2005, an agent-turned-editor who quickly developed a reputation for a shrewd editorial eye, publishing the likes of Joseph Boyden (winning the company its first Giller Prize in 2008), acquiring Canadian rights to Stieg Larsson’s Millennium Trilogy, and launching the prestige literary imprint Hamish Hamilton Canada. She was named to the top spot after the tumultuous departure of her predecessor, David Davidar, who left Penguin after being accused of sexual harassment by another employee. Almost every employee in the new space, which offers a 360-degree view of the city, has a seat near a window. “I’m not interested in a book that is going to generate less than $100,000 in revenue unless the editor or publisher has a compelling vision for the book and/or the author.” Brad Martin, sitting in one of the small meeting rooms scattered throughout the new office, taps the table with almost every word. “If the person that’s championing that book in the acquisitions meeting doesn’t have a compelling view of it, it’s just trying to fill a slot, then I’m not interested in doing it. There is a fear, from those outside the company and others in the writing and publishing community, that Penguin Random House will publish fewer books than Penguin and Random House did when they were seperate entities. “I suspect that, over all, fewer writers, and certainly less variety of writing, is going to be published there,” says former Doubleday Canada editor-in-chief John Pearce, now a literary agent. The new building is on Toronto's Front Street, a few blocks west of the CBC headquarters. There is a fear that the publishing landscape in Canada could evolve into one of haves and have-nots; there will be authors who publish with Penguin Random House Canada and those who find a home elsewhere, though Martin bristles when I suggest they control the domestic market. “Control is a strong word, but our market share is about 32 per cent.” And PRH Canada is but one element in an enormous corporation, employing more than 12,000 people around the world, that includes nearly 250 individual imprints and publishing arms, which churn out more than 15,000 new books each year. The company, according to its latest annual report, increased revenue 25.2 per cent to €3.3-billion ($4.6-billion) in 2014. While the company would not provide financial information specific to Canada, Martin claims that “PRH Canada is a profitable company.” Domestically, Penguin Random House Canada published 542 books in 2014. They publish many of Canada’s best living writers (Margaret Atwood, Joseph Boyden and Alice Munro, who used to publish in hardcover with M&S and release paperbacks with Penguin) and the vast backlist includes many of our best dead writers (W.O. Mitchell, Margaret Laurence, Alistair MacLeod, Hugh MacLennan, Pierre Berton, Carol Shields, Mordecai Richler). Since the Giller Prize was first awarded in 1994, Penguin Random House Canada has published 16 of 22 winners. “I do become nervous about one publishing group becoming so marketplace-dominant,” says Steven Galloway, chair of the University of British Columbia’s School of Creative Writing and a Random House author since 2001. “If for some reason the people at Penguin Random House ever decide I’m loathsome and don’t want to deal with me any more, one’s options for moving and still publishing are somewhat more limited than they used to be. That’s not a great thing. “Consider what Canadian publishing would be if either of those two companies went down. There are those who would rejoice. I would argue that they’re just plain idiots. Anansi can’t be Anansi without Random House. Their whole brand doesn’t work if there’s no Random House. All the different publishers in Canada have a role to fill. It’s a word Martin has heard tossed around since the merger was finalized. Sitting in the meeting room earlier this week, he put the issue of size in context. Canadian publishing is partly being shaped by forces outside his cubicle, he argues, and the questions posed by the merger – of power, of influence – are not unique to this country.